Guardian training for faith based organizations. Beginning January 2018, In-Gauge of Polk County, of Winter Haven, Florida will be initiating its Church Guardian Training program. In-Gauge of Polk County’s Church Guardian Training program is a 15-hour firearm training program for faith based organizations. The Guardian training specifically focuses on situational awareness, plans of action and the use of a firearm in crowded, close-quarter conditions. A nationally recognized, official NRA certificate of training will be issued upon successful completion of the course. Training exceeds requirements for Florida’s concealed carry weapons license application. Training will be ongoing throughout the year. Training can be taken as an individual or a group. Convenient lodging is available for out-of-town participants. Pre-registration is required. Group discounts are available. Call or email for pricing information. 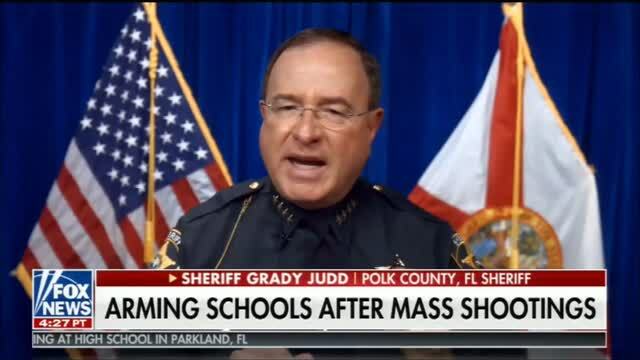 Polk County Sheriff Grady Judd explains the importance of having trained guardians on location when the wolf attacks and before law enforcement arrives . . . . If you or any member of your congregation takes firearms training that does not provide an official NRA certificate of training, displaying the official NRA name and emblem, your training will likely not be recognized outside the state of Florida and not be recognized by liability insurance carriers. Firearms training classes (concealed carry classes) conducted by retired law enforcement officers or instructors claiming to certified NRA instructors that do not issue official NRA certificates of training, are NOT official NRA firearms training classes. Before enrolling in any concealed carry class or advanced firearms tactical training course, ask if you be receiving an official NRA certificate of training upon completion. Not merely receiving a training certificate designed by the instructor or a letter stating you completed a class.